There, have you overpaid sales and use tax? Contact us for help with your sales and use tax refund claim. Rules and regulations surrounding state sales and use tax refunds are complicated. Contact us in Brea (714.990.1040), Visalia (559.732.4135) or Twin Falls (208.949.6236). We can help you understand them and ensure your refund claims are properly prepared before you submit them. One contract every construction business owner needs to sign that sometimes goes overlooked: a buy-sell agreement. 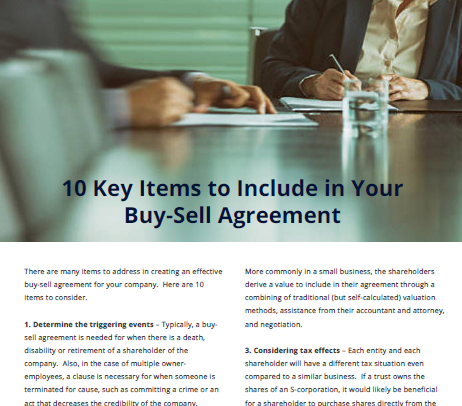 Click here for 10 Key Items to Include in Your Buy-Sell Agreement (PDF).